“I want to be a Christian,” said the little girl at VBS. “Jesus did it,” she said with no hesitation. “I just have to accept it—like an I-love-you gift.” That day Miriam prayed to ask Jesus to forgive her, told Him that she loved Him and promised to be as much like Him as possible, even though it would be hard not to fight with her sister! 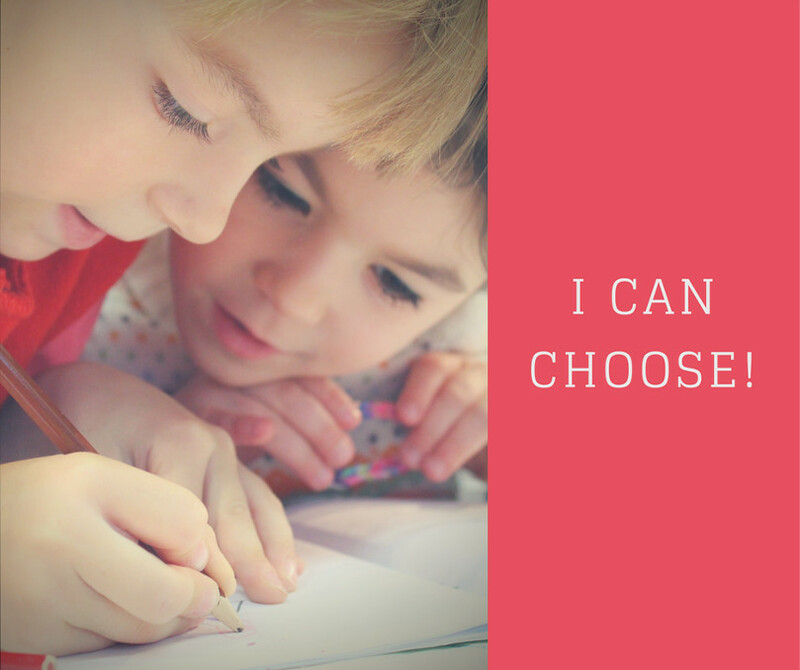 “I Can Choose” is a five-step action plan for helping children to make and review choices—including the decision to become a Christian. This plan is a long-term, relational tool to help children explore options and make choices with the support of trusted adults and peers. “I Can Choose” will work most effectively when woven regularly into an existing club, Bible study or Sunday school class and backed up with small-group work. With time and practice children will learn to make good choices and take this skill with them into adulthood. The aim of each step and some useful exploring questions are outlined below. Each step also includes ways to apply “I Can Choose!” in both evangelistic and discipleship situations. Difficult situations are often confusing and complicated. Problems can be so overwhelming children don’t know where to start. They need to feel that they are taken seriously. As teachers we need good listening skills to help them untangle their problems one at a time. Aim: To help the child define and focus on one problem at a time. Exploring Questions: Can you tell me about your problem? What’s wrong? Gospel Application: The problem is sin. Life Application: Sometimes Tom was quiet and withdrawn during club. Other times he was disruptive. But one day during a small-group activity, the other children began to talk about their problems. Tom felt safe enough to talk about his, too. He told the group that his mom and dad got a divorce and they said nasty things about each other in front of him. He felt that his parents were asking him to choose between them and he was worried and upset about it. The leader, Kevin, and the group helped Tom begin to tackle the problem by identifying it and talking about it. Now he could start thinking about what to do. Children often feel alone when they have struggles. They know they need help but do not know how to ask for it or who can help them. When a child turns to us for help we need to work together at finding a solution. This solution may involve identifying and contacting other individuals with broader knowledge, skills and experience with the problem. We need to respect confidentiality but never offer it unless it can be honored. Aim: To help the child find as many resources as possible. Exploring Questions: How can you depend on God in this situation? Does the Bible say anything that might help you with this choice? Who are the family, friends, trusted adults or organizations and phone numbers that might be able to help? Gospel Application: Jesus is the only one who can help with my sin problem. Life Application: Jo came into the after-school club crying two weeks in a row but refused to say what was wrong. “If I tell you a secret,” she finally asked Ann the second week, “will you promise not to tell?” Ann took Jo aside but within eyesight of another leader. “Jo,” she said, “I am happy to listen and do whatever I can to help but I can’t promise to keep what you say a secret. I might need to tell somebody.” Jo chose to share that she was being bullied in school. She was embarrassed and afraid to tell anyone, including her parents, in case it made the bullying get worse. Ann told Jo that she was not alone. Ann had also been bullied. Jo and Ann decided to talk to her parents together. Jo felt less alone and began to find people who could help her. Sometimes children feel there is nothing they can do about a situation—that they are trapped. We need to help them identify and consider several possible choices. This process will yield greater confidence in making a good decision and following it through. Aim: To help the child consider as many options as possible. Exploring Questions: Can you think of three different choices you could make? What could happen in each choice? Which choice do you think is best? Why? Gospel Application: My three options in dealing with my sin problem are: accept what Jesus has done for me and let the Holy Spirit help me, reject Him or think some more before deciding. Together we have identified a problem, discovered others who can offer help and support and considered several options along with their possible consequences. Now it’s decision time. Aim: To help the child make a choice and follow it through. Exploring Questions: What choice will you make? How will you act on it? Gospel Application: I choose to accept Christ as my Savior. Life Application (continued from previous step): Carrie told the group that she would try to make new friends. The child has made a choice and acted on it. The child is now having to live with the consequences of the choice—positive, negative or a mixture of both. We need to offer continued support and help the child evaluate what has happened as well as work through any new choices that might need to be made. Aim: To help the child think about the result of her choice and learn lessons for the next time. Exploring Questions: Did you do what you set out to do? What happened—good and bad? Would you do the same thing again? Why or why not? What would you do differently? What new choices must you make? Life Application (continued from previous step): The next week Carrie brought a new friend, Beth, to club. She had done her best to ignore the nastiness of her “friends” and continued to refuse to let them copy her homework. Beth had been sitting alone in the cafeteria and Carrie asked if she could sit beside her. They discovered they had a lot in common and were both good at the same subjects. The group welcomed Beth, who returned every week thereafter. Carrie was content with the decision and God was honored!